Lambert, Maude-Emmanuelle. "Battle of the Windmill". The Canadian Encyclopedia, 22 March 2017, Historica Canada. 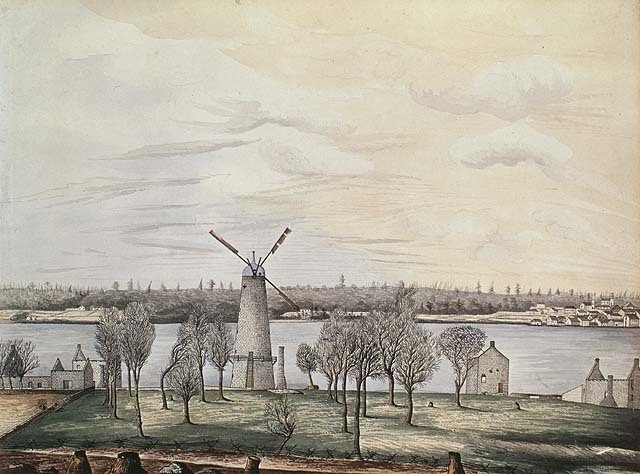 https://www.thecanadianencyclopedia.ca/en/article/battle-of-windmill. Accessed 20 April 2019. The Battle of the Windmill was one of a series of raids launched along the Canada/US border in the summer and fall of 1838 by the Hunters’ Lodges, secret societies established by Canadian rebels who had taken refuge in the northern United States after the failed rebellions of 1837. 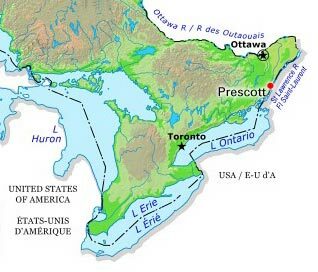 Several thousand Americans also joined these societies, whose goal was to push the United Kingdom and the United States into war so as to liberate the Canadian provinces from British tyranny. The Battle of the Windmill was fought from 12 to 16 November 1838 near Prescott, in Upper Canada, and ended in a defeat for the invaders from the US. 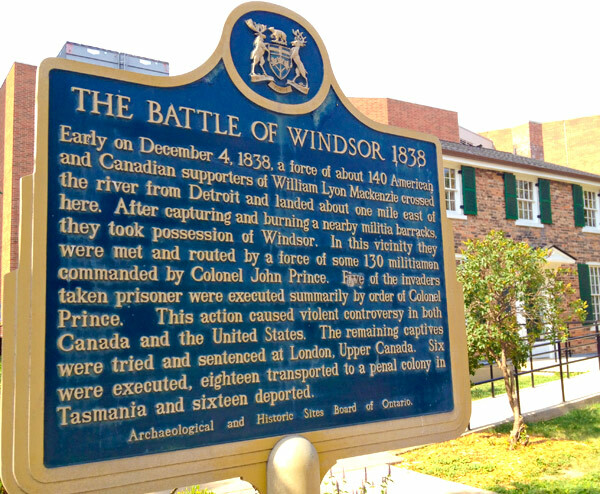 One month later, the Battle of Windsor put an end to the American incursions and Canadian rebellions. Prescott Mill Point on the St. Lawrence River. The Hunter’s Lodges were patriotic secret societies created by Canadian rebels on the model of a similar society, the Frères Chasseurs of Lower Canada (see Rebellions of 1837- 38), to deliver the Canadian provinces from British servitude. This movement quickly received support from a wide variety of groups in states along the Canada/US border. 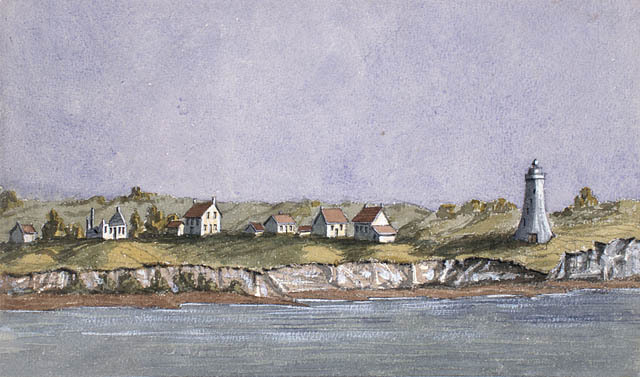 In the summer and fall of 1838, the Hunter’s Lodges attempted several incursions into the British colonies, but suffered crushing defeats at Napierville, Lacolle and Odelltown in Lower Canada as well as at Prescott and Windsor, in Upper Canada. 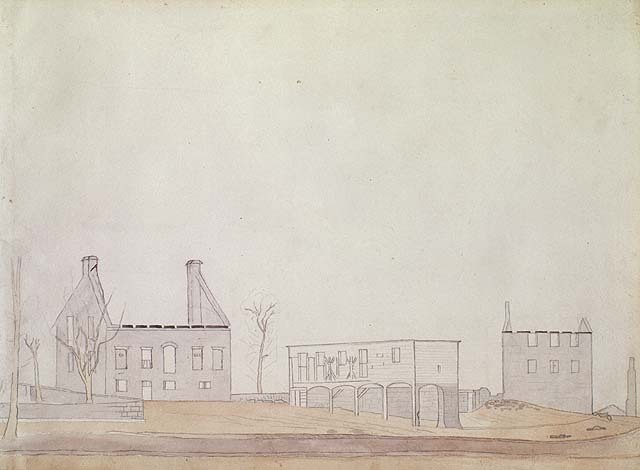 Colborne contributed to the popular unrest that culminated in the reform victory in the 1834 election and ultimately in the Upper Canadian Rebellion of 1837 (courtesy Metropolitan Toronto Reference Library/T15073). The Battle of the Windmill, fought in Prescott from 12 to 16 November 1838, was one of these attempts at provocation along the border with the objective of pushing the United Kingdom and the United States into war. 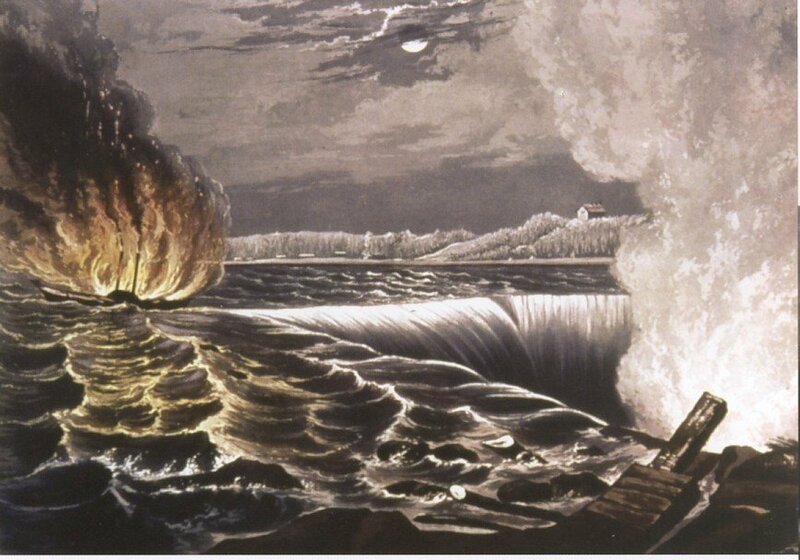 A few months earlier, on the night of 29 to 30 May 1838, a group of Hunters led by William (Bill) Johnson captured and burned the British steamer Sir Robert Peel as it was travelling up the Saint Lawrence River from Prescott. 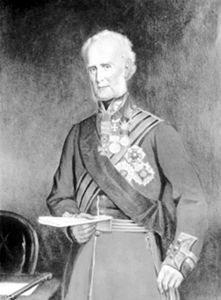 This single raid convinced the commander of the British forces in the two Canadas, Sir John Colborne, of the importance of restoring Fort Wellington, in Prescott, and building a new blockhouse. This work began in late summer 1838 and when the Hunters attacked in November was far enough along that they could not achieve the effect of surprise, and their attack failed. 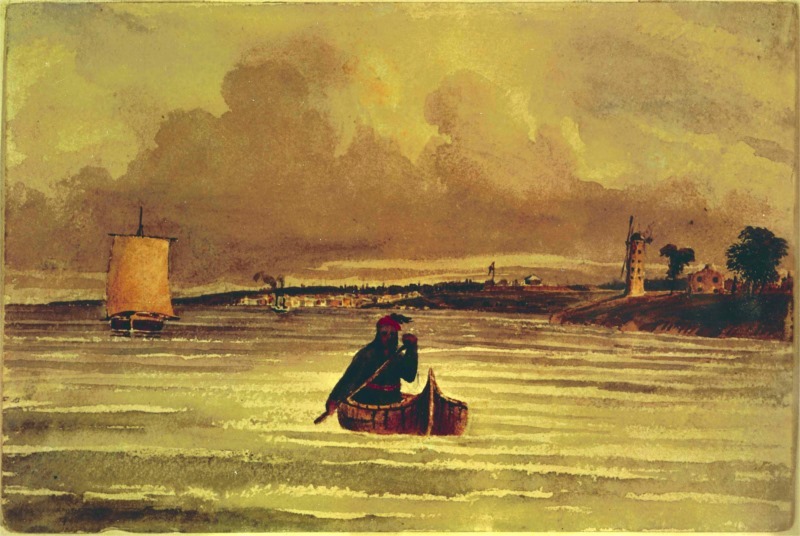 On 12 November 1838, Colonel Nils von Schoultz, an American of Finnish origin (erroneously considered to be a Pole), ran the schooner Charlotte aground a few miles downstream from Prescott and took up a position with 250 men in a six-storey stone windmill and several nearby houses. A small vessel, the Experiment, cut off von Schoultz’s escape route to the United States, while 70 British marines arrived from Kingston by steamship and some 600 militiamen rushed in from the surrounding counties. These troops expelled the Hunters from their advanced positions but did not succeed in taking the windmill. 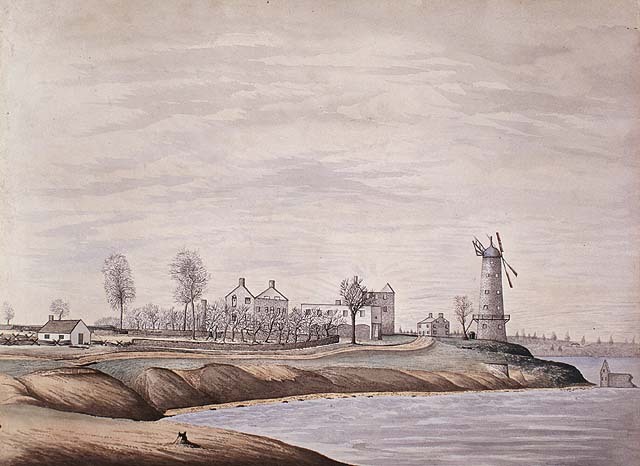 View of the Windmill at Prescott, Upper Canada, and the adjacent houses as it appeared after the action, Artist: Henry Francis Ainslie, April, 1839. After two days of skirmishes, Colonel Henry Dundas arrived with reinforcements: four companies of the 83rd Regiment and a howitzer. When the invaders surrendered on 16 November, 137 of them, including von Schoultz, were taken prisoner. The Hunters’ losses were estimated at 80 men, while the British and Canadian losses totalled 16 killed and 60 wounded. The trials of the prisoners and the execution of their sentences stretched out over several months. 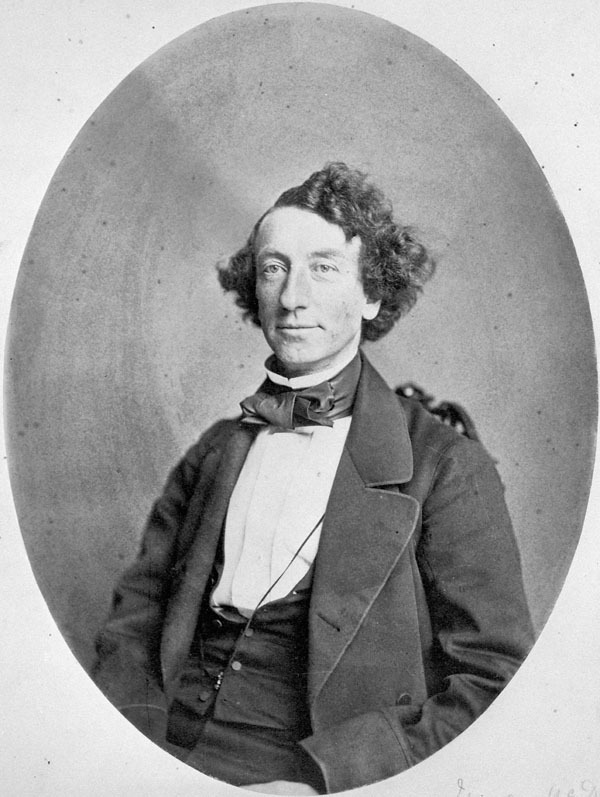 Eleven of the prisoners were executed, including von Schoultz, who decided to plead guilty (against the advice of his young lawyer from Kingston, John A. Macdonald, a future prime minister of Canada). About 60 of the prisoners were sentenced to exile in Australia. Others were acquitted, while still others were found guilty but then pardoned. The last confrontation between the British army and the Hunters’ Lodges took place on 4 December 1838. At about 2:00 a.m., some 140 Hunters crossed the Detroit River and landed near Windsor. They set fire to a few houses, some British barracks and a steamship. A British detachment of 500 men intervened rapidly and dispersed the rebels, putting an end to the American incursions into British territory, as well as to the Canadian rebellions. 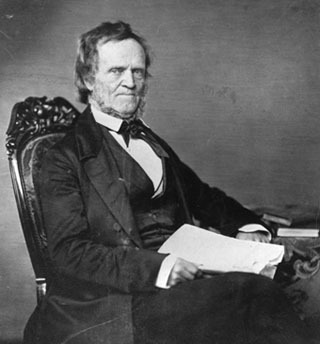 Meanwhile, on 21 November 1838, US president Martin Van Buren announced that any Americans who attempted to make incursions across the border, in violation of the law on American neutrality in Canadian affairs (adopted on 5 January 1838 in the wake of the Caroline incident), would no longer be entitled to protection once they returned to the United States. Public opinion, initially favourable to the cause of the patriots and the Canadian rebels, began to shift: most Americans subsequently came to regard neutrality as the best possible choice. Having to cope with such weighty matters as the annexation of Texas, slavery, westward expansion and a possible economic crisis, the United States could no longer contemplate a war with the United Kingdom (see The Early American Republic and the 1837–38 Canadian Rebellions). Over the following months, the Hunters’ Lodges were gradually disbanded. In 1873, the Canadian Department of the Navy converted the windmill into a lighthouse, and it was used for this purpose for close to a century. Located in what is now the township of Edwardsburgh/Cardinal, Ontario, it was restored by a group of citizens and is now open to the public. Since 1996, it has been recognized as Battle of the Windmill National Historic Site and administered by Parks Canada. Shaun J. McLaughlin, The Patriot War Along the New York-Canada Border (2012).